Here’s the deal. 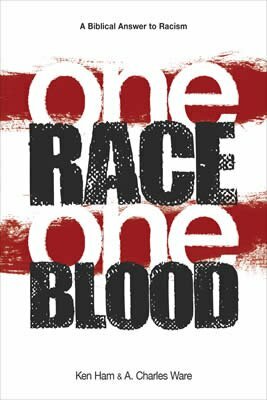 The Bible teaches that there’s only one race—the human race—but various groups of people can look very different. How does that work? Skin shade is governed by multiple genes and is quite complex, but for the sake of simplicity, assume for a moment that there are only two. Genes come in pairs of pairs. During reproduction, half of the genes passed on to the offspring come from each parent. For this discussion, let’s assign the letters “A” and “B” to the genes that code for large amounts of melanin—the brown-colored pigment in everyone’s skin. We’ll also use the letters “a” and “b” to designate the genes for small amounts of melanin. In very dark-skinned people groups, individuals carry AABB genes and only produce dark-skinned offspring. In very light-skinned people groups, individuals carry aabb genes and only produce light-skinned offspring. If a male and female from each group mate and produce a child, the combination of their AABB and aabb genes would give rise to a child who carries the AaBb genes for melanin and would be “middle brown” in skin shade. Now, if two people carrying the AaBb genes got married and reproduced, their children could have a wide rage of skin colors. If Adam and Eve were both middle brown (AaBb), they would have produced children with a wide range of tones. Suddenly, all of us being one race doesn’t seem so complicated. Okay, so that explains the different skin tones, but how did different people groups come to be divided as they are now? Again, we can find the answer in the Bible. Take a crash course in genetics and find out how we’re all one race in this clip from Check This Out!. It’s the next best thing to learning by osmosis. Share everywhere. In Genesis 11 , our ancestors refused to obey God’s command to spread out and fill the earth. Instead, they started building a monument to their insolence—you probably know it as the Tower of Babel. God judged our ancestor’s disobedience by imposing different languages on them by their family groups. This language confusion forced them to scatter over the earth as God intended. The dispersion at Babel broke the large interbreeding group of humanity into smaller groups with less genetic variability. Each group had different mixes of genes for various physical features. All sorts of factors modified the frequency of certain combinations of genes, causing a tendency for specific characteristics to dominate. In other words, kids and grandkids shared the same basic genes their ancestors took with them from Babel. So, what’s the bottom line? 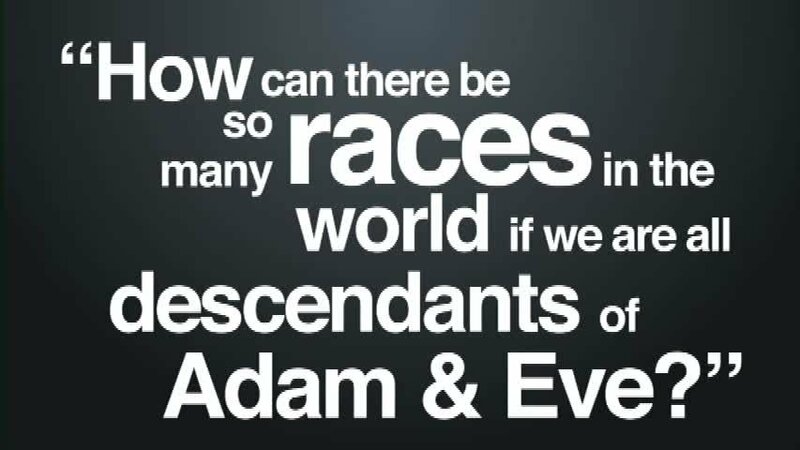 The Bible tells us, and genetics confirms that we’re all descendants of Adam and Eve. No matter the color of our skin, we’re one race . . . but this also means we are all sinners, like our first parents, and all in need of the gospel in Jesus Christ.